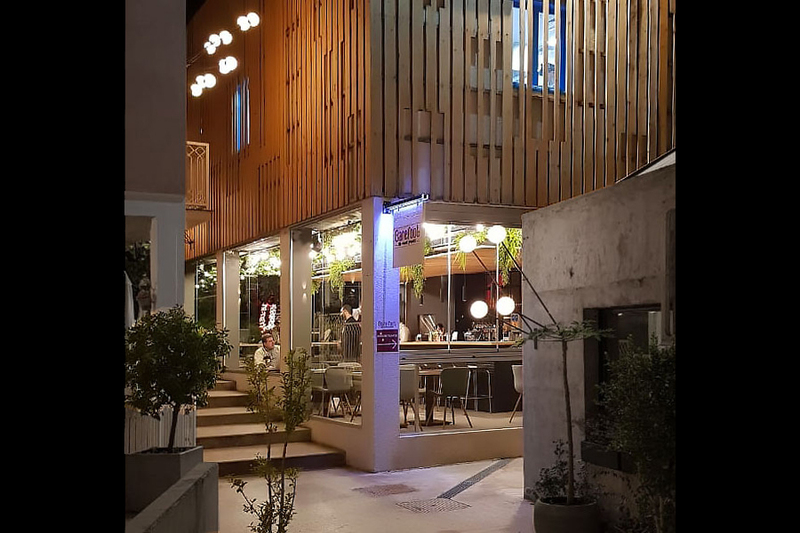 The diner is housed within an existing faux Lebanese-house part of a restaurants cluster in the Metn region. The project also gives unto a central green backyard that is however one meter higher than the entrance. 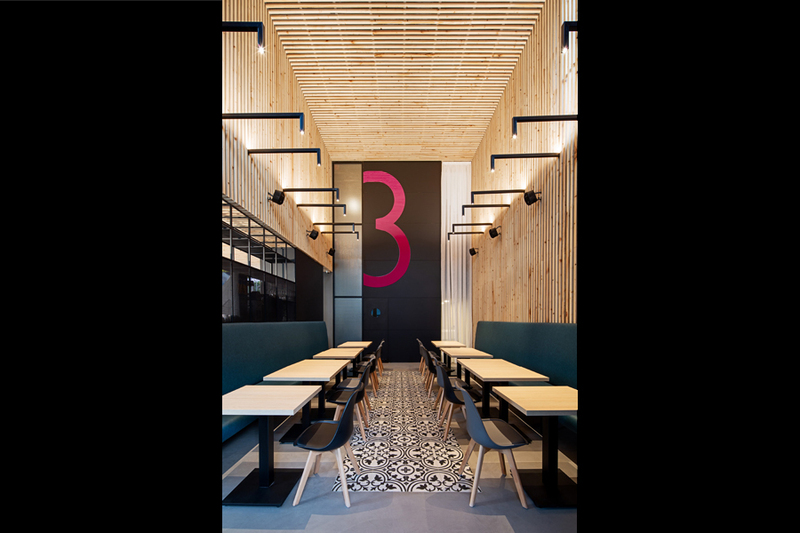 Spatially, our response was to create three platforms that gradually rise from the main entrance towards the courtyard while simultaneously defining two dining zones: the communal hall and the winter garden laid around a central bar. In the communal hall, the overhead slab was demolished to create an impressive double volume that welcomes the patrons. 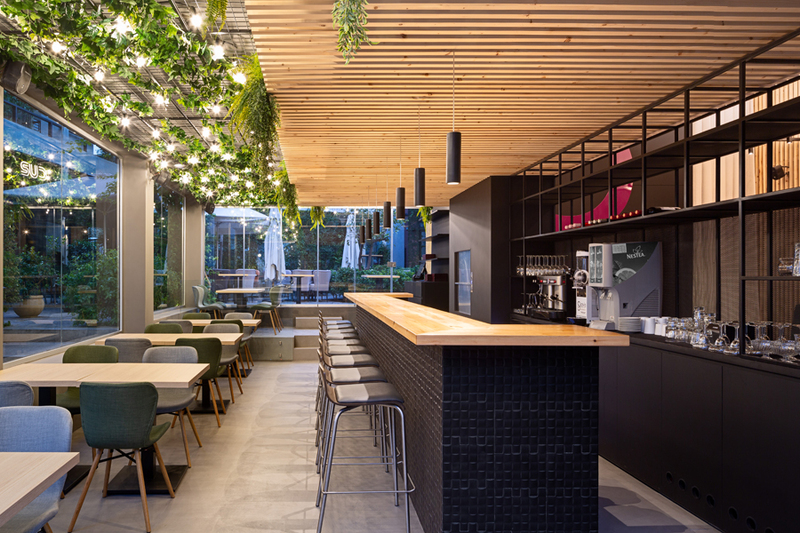 A wooden veil made of pine struts spaced 4cm apart, reminiscent of garden pergolas, cloaks the existing internal facade (left untouched) and folds to provide a canopy above the bar. The winter garden fully glazed, has been conceived as an extension of the external courtyard through folding glass curtains and features a metallic mesh underneath the concrete slab supporting green vines and garden-type string lamps. Overall the raw material palette (concrete floors, metal mesh, exposed ducting and tubing….) 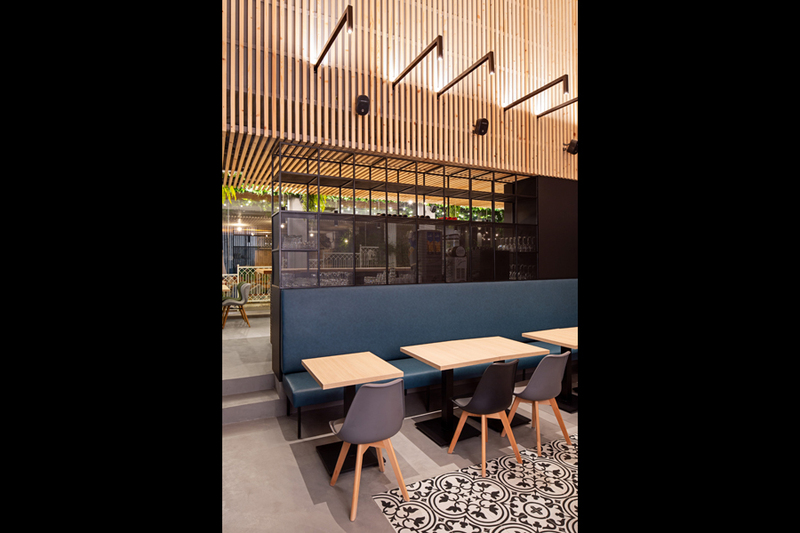 is largely counterbalanced by wood, greenery and patterned cement tiles which gives the space the coziness of a casual gourmet diner.